When correcting a leak or a pressure flow problem within your water lines, it is important to understand the components of your plumbing. 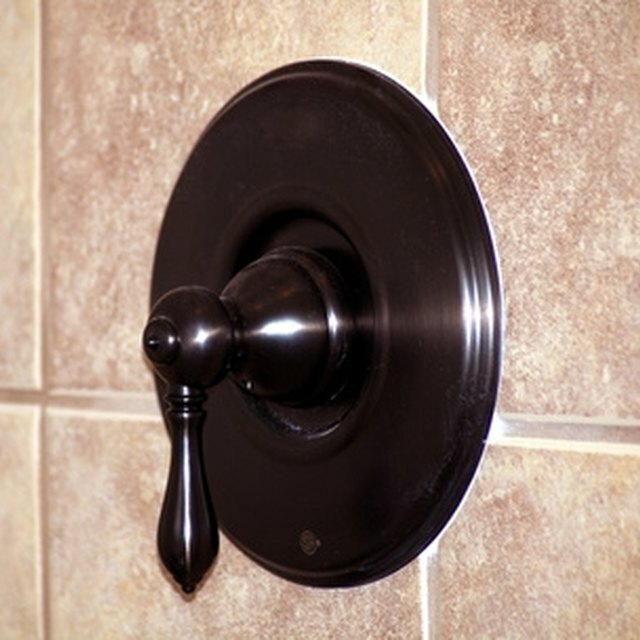 Each plumbing fixture has its own purpose, therefore must be used in a specific way to ensure the best seal possible. Often, plumbing joints are easily confused by one another and must be understood to prevent leakage of any kind. Faucet of a bathroom sink. Examine the pipes beneath your bathtub via the basement or before the tub is installed. See the drain pipe as it extends from the hole in the basin of the tub and curves at a 90 degree angle into a larger pipe. This large pipe will carry waste water from the home into the sewer. See the overflow pipe that sits just behind the wall at about 10 inches to 1-foot. See beneath the toilet to identify the flange, the opening for which waste water is extracted to the sewer. The flange attaches to a wax ring that, in turn, will adhere to the base of the toilet for a waterproof seal. Review the plumbing area below the kitchen sink. See the supply lines where water is delivered from the main water pipe to the sink. Spot the thin supply line coming from the floor as it encounters a shut off valve. See the knob of the valve, on the hot and cold lines, with the ability to turn the water on or off. Spot the drain basket in the base of the sink. Identify the basic plumbing parts used in many operations of the home. See the elbow joint that is a straight pipe with a slight curve at one end. Notice the U-joint that resembles a U-shape. Recognize the S-trap that holds a pocket of air within the line. This sideway S-shaped pipe fitting is found beneath sinks to keep the odor of waste water from filling the home. These pipes are commonly found in plastics, yet some maybe metallic. In the case of the U-joint, when positioned beneath a tub, it is best to use metallic pipes, or a thicker plastic such as PVC. Examine the surface of the sink or tub. See the faucet arrangement, commonly made of two separate handles one for hot and the other for cold, and the faucet spout. Some faucets have a single handle that controls all available water temperatures by turning said handle to the right or left. The faucet spout may extend up and over in a slender fashion, or it may be short and stocky for a shallow sink. See the shower head positioned around 6-feet high on the shower wall. This device will disperse water via numerous holes on a single head.